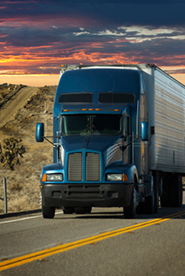 Are There Trucking Companies That Offer CDL Training? We did a quick poll on our Driver Solutions Faceboo k page asking our fans about the FIRST thing that attracted them to a truck driving career. Most of the responses involved answers about getting to travel the country and see new places. If you enjoy driving and living life on the open road, then this certainly is a great career choice for you to pursue. But in order to get started, you must go through some type of CDL training and earn your CDL license. So, you may be wondering - Are There Trucking Companies Hiring That Offer CDL Training? Through the Driver Solutions Network, we can match you up with trucking companies that will offer company sponsored CDL training so you can get started today. This means, they will cover your upfront tuition costs regardless of your credit history. Just complete our online driver application to get started today by speaking with a Driver Agent about your career options.